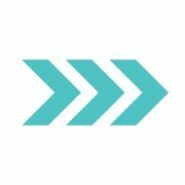 This post is brought to you by Plaid and Blueprint Social. As always, all opinions are 100% my own! Plaid asked me to make Christmas ornaments using Mod Podge Pearl and FolkArt Paint, and I love Mod Podge so of course I said yes! We’ve already started decorating for Christmas, but we don’t have our Christmas tree set up yet, so I decided to make Christmas ornaments with a twist. 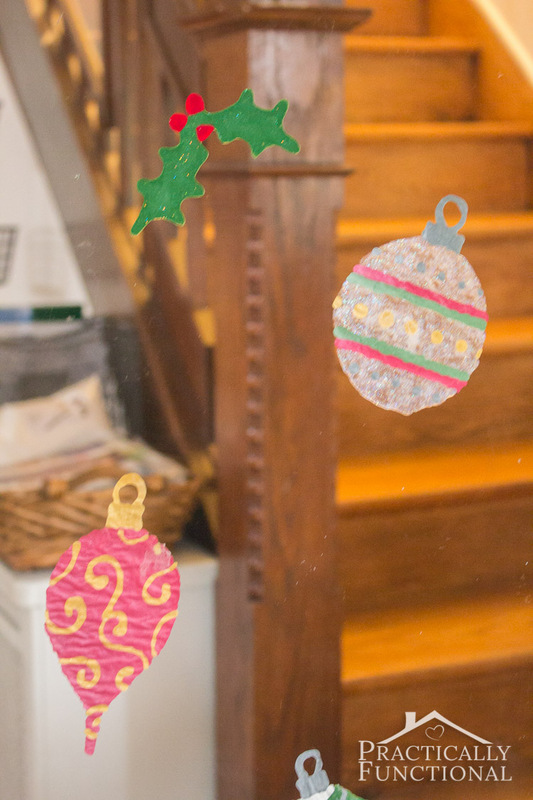 Did you know you can make window clings using Mod Podge and paint? 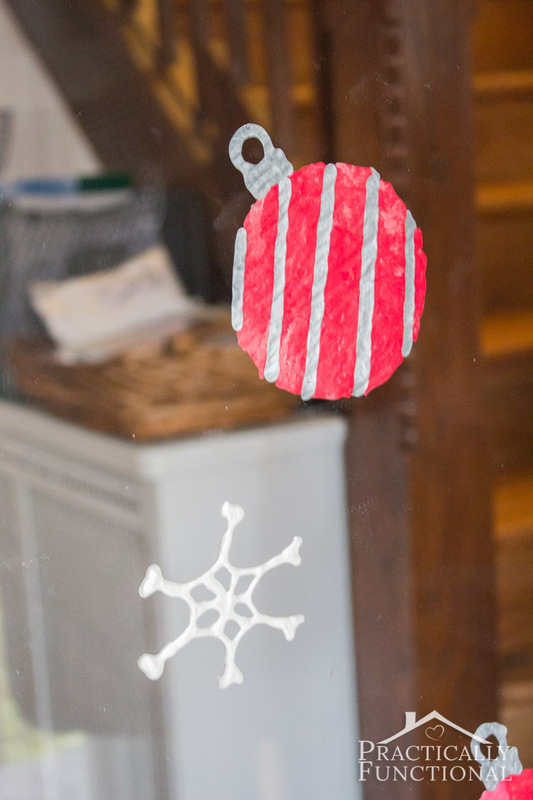 Today I’m going to show you how I made these cute Christmas ornament window clings! 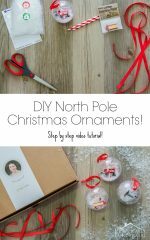 Aren’t those ornaments super cute?! 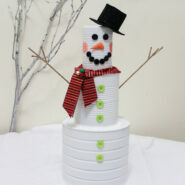 And they’re quite simple to make too; all you need is Mod Podge and paint! Mod Podge is an all-in-one sealer, glue, and finish, and it only takes 10-15 minutes to dry, so it’s perfect for this project! My mother-in-law and sister-in-law are in town, so we all had fun doing this project together! 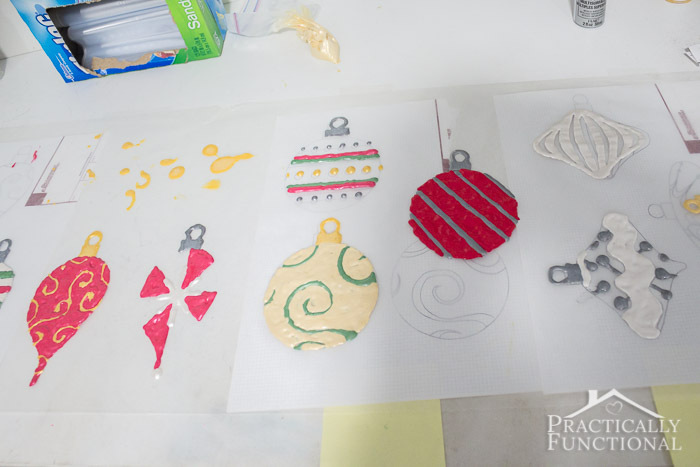 My sister-in-law is an amazing artist, so she drew a bunch of gorgeous Christmas ornaments for us to use as a template. 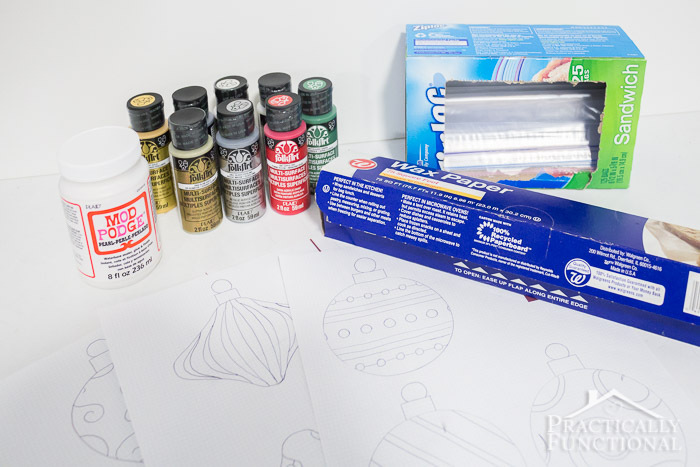 If you don’t want to draw your own template, you can find line drawings online and print them out, or you can always just draw the ornaments freehand with the Mod Podge and paint mixture and skip the template all together! 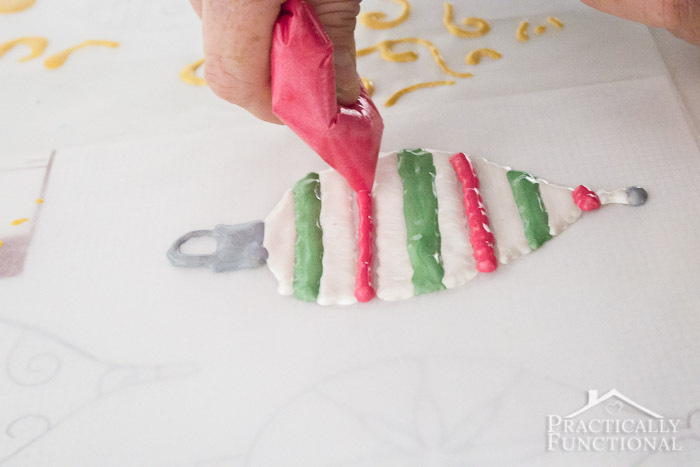 Put your template underneath a sheet of wax paper. 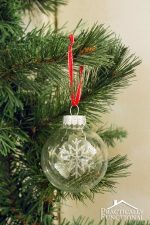 You can also use parchment paper, cellophane, Ziploc bags, plastic sheet protectors, transparencies, or any other clear, plastic-y material. For every color you want in your window cling, pour about a tablespoon of Mod Podge and a squirt of paint into a small Ziploc bag. Mod Podge is perfect for this project because it’s a glue, so it dries quite tacky, and it’s water-based and non-toxic, so it’s great for the kids to help and super easy to clean up. And FolkArt® Multi-Surface Paint can paint on wood, glass, ceramic, metal, terra cotta, rigid plastic, canvas, styrofoam, slate, paper mache, and fabric with the same bottle. It’s basically the only paint I ever use because it works great on everything, so it’s also perfect for this project! 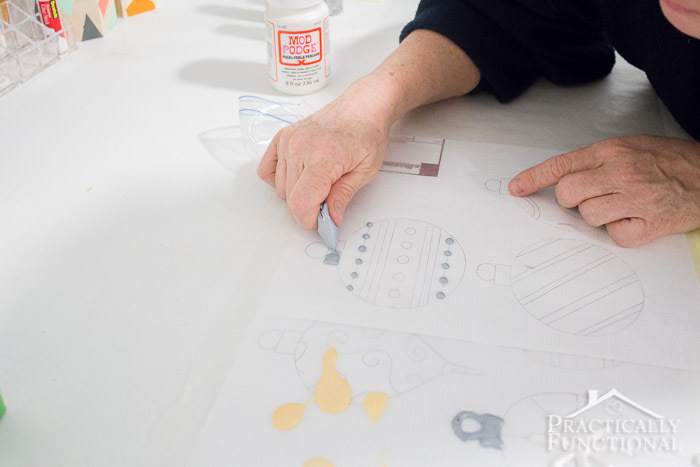 We used Mod Podge Pearl, which is a new formula that gives your projects a pearlescent effect. When mixing in your paint colors, remember that Mod Podge dries clear. So even though, in the bag, it may look sort of pastel-colored, it will get darker once it’s dry! 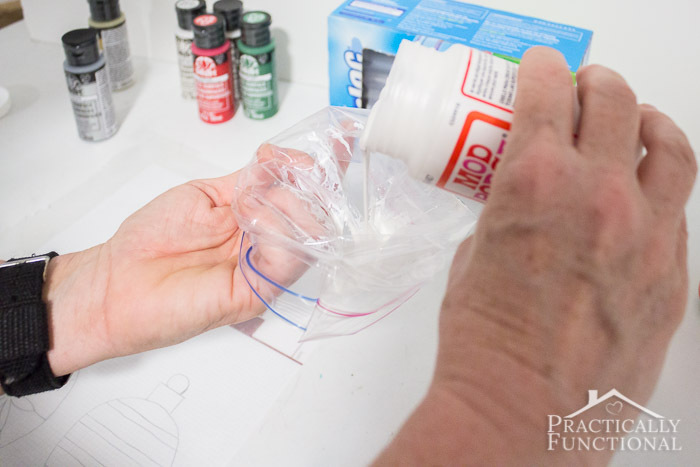 Cut a small corner off of the bottom of the bag, and carefully pipe out the Mod Podge and paint mixture over your template. Make sure the hole is super tiny, otherwise it will come out too fast and spread all over your project! We tested piping out the mixture onto one corner of the wax paper just to make sure we had everything correct before we started. 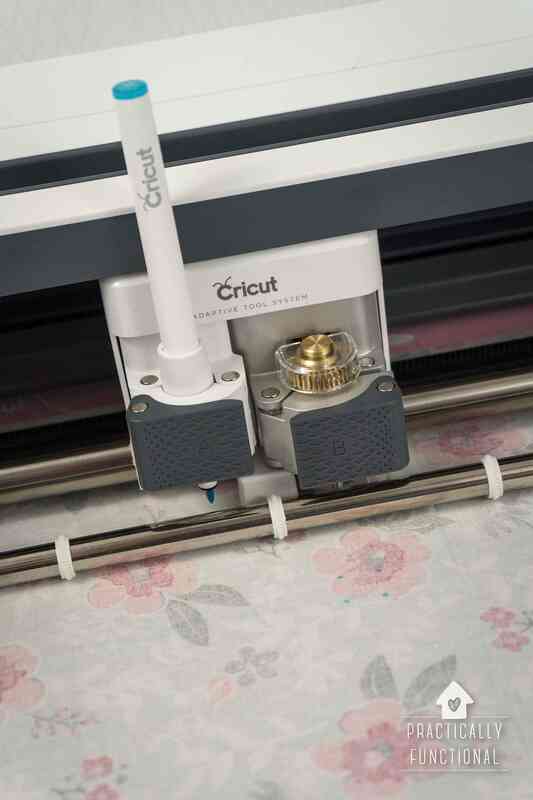 You want to pipe out a medium-thick line of the mixture; too thick and it will take forever to dry, but too thin and you risk breaking it when peeling the cling off of your paper. For any window cling that you are planning to make with multiple colors, I suggest doing all of one color first, then letting it dry before adding the second color. The Mod Podge starts to dry right away, and about half an hour after we started it had a nice dry skin on it. But we let it dry overnight before we started the second color; our mixture was pretty thick and we wanted to make sure it was fully dry! 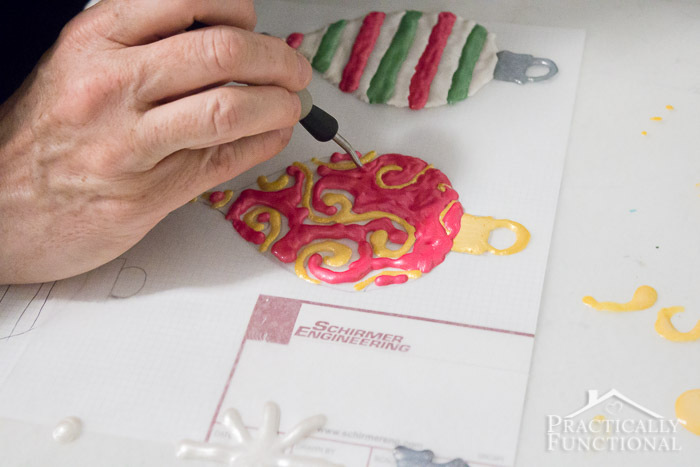 If your design is intricate, you can use a toothpick to help spread out the second color and make sure it fills in all of the gaps left by the first color. Remember, what you’re seeing on top of the wax paper as you make these is the “back” of the window clings. So even if the second color starts overlapping the first and making it look a bit messy, the lines will still be crisp and clear on the “front” once you peel the clings off the paper. 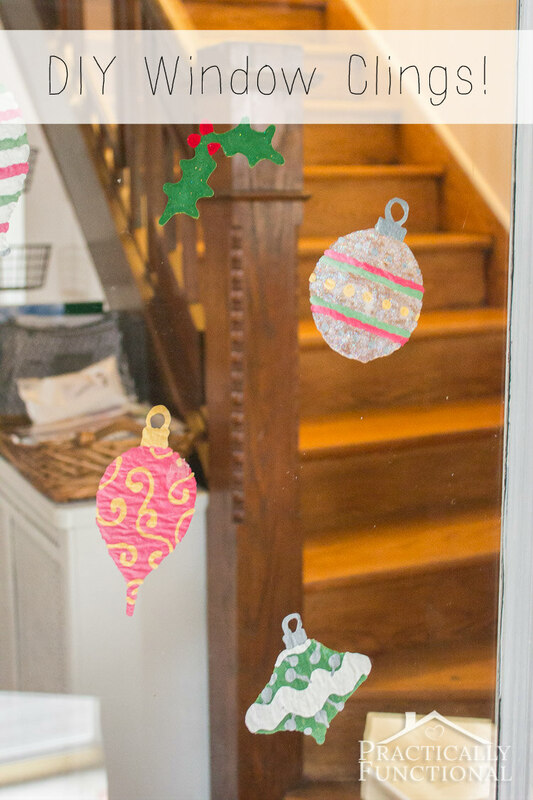 Once all of the colors on your clings are dry, you’re ready to peel them off and stick them on your window! 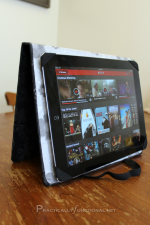 Flip the clings over and carefully peel the paper off of the back. Then stick them to your window and you’re done! If your windows are cold and the clings are having trouble sticking, you can warm them with a hair dryer before attaching them and they will stick better. 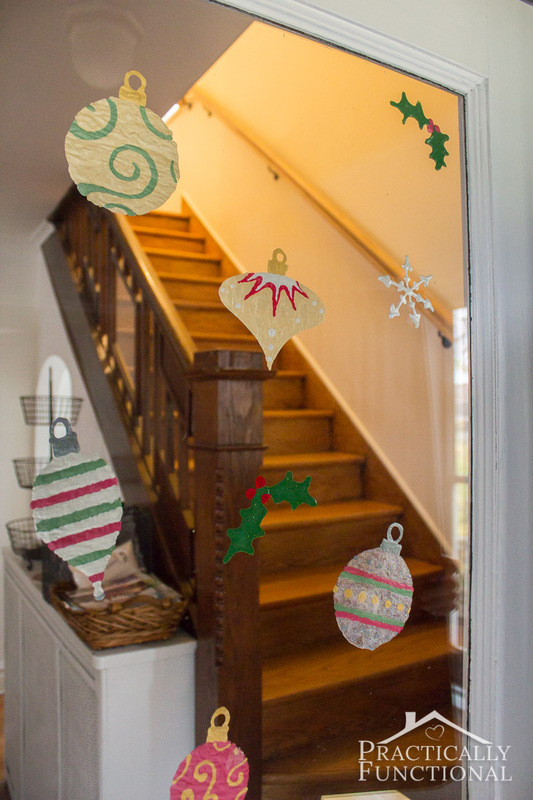 Have you ever used Mod Podge to make window clings? 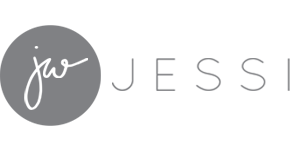 You can find more about Plaid and their products on Pinterest, Facebook, Instagram, or the Plaid website! 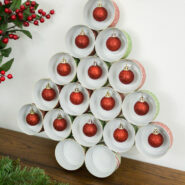 If you liked this project, check out these other simple Christmas crafts! 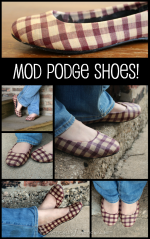 Customize Your Shoes With Mod Podge! 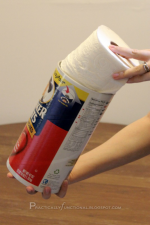 Upcycle: Oatmeal Canister To Toilet Paper Holder! 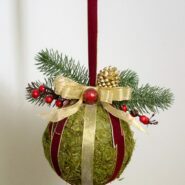 « What To Get Your Cats For Christmas! These are so cute Jessi! I had no idea you could make your own clings! I would never have thought of that, very clever. I love how they turned out too. Great idea. Wow! That’s so clever I never thought mod podge could make window clings???? ?